If you want to know more about Heida Reed, who plays Elizabeth in BBC's Poldark, you might want to start by getting her name right. Her real name is Heida (pronounced "Hay-da") Run Sigurdardottir. Sounds Icelandic, right? Well, it is! Heida came to London at the age of 20 to study drama, but realized that her Icelandic accent and last name set her apart from the other girls in a way that she didn't see as advantageous. "It was a realisation in drama school that I didn't want to be in a bracket on my own," she told The Herald Scotland. "I wanted to go up against the best girls in my year, the talented girls who were getting all the good parts. I felt I could do that but I had to convince everyone that I can. I had a very good speech coach, and instead of changing my accent when performing, I just decided to do it overall. And then I was advised to change my name. Nobody can pronounce my last name anyway." When asked if she still thinks in Icelandic, she responded, "It completely depends on what's going on in my head. I think I mostly think in English. There's a very strange thing that happens sometimes -- this might be a bit dramatic -- but if I really need to go deeper within myself it's sometimes nice for me to switch into an Icelandic train of thought. 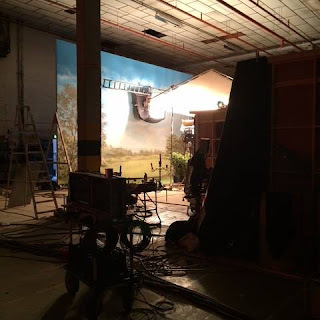 It brings out something different." 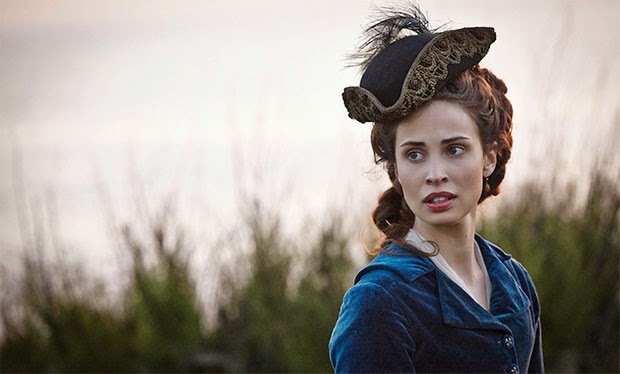 While working on Poldark, Heida found that she was still setting herself apart, or rather, her character's hair and costume were. "I had the most hair which means my pick-up call is the earliest. Five am." And though it may look lovely on screen, the best part about wearing a corset was getting to take it off. She said, "There's an almost euphoric experience when your ribs would expand and the air would come back in. The sense of freedom." To learn more about Heida -- her upbringing, her stance on broken hearts, her early acting career, and how she would have felt to be in Elizabeth's shoes -- read the full interview at The Herald Scotland.